Magento extractor is Datacol-based module, which implements automatic data extraction from certain internet shop. Extracted data are saved to CSV file, which can be imported to Magento-based online store. You can also adjust Datacol export settings to save data to other CMS (PrestaShop, Oscommerce, Opencart etc. ), file formats, database etc. 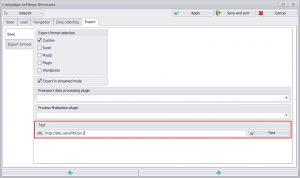 You can test Magento extractor before purchasing it. The test will take less than 5 minutes! You can readjust Magento extractor (on your own or request our paid help). 2. Choose exporters/magento-extractor.par in the campaign tree and click Start button to launch Magento extractor campaign. 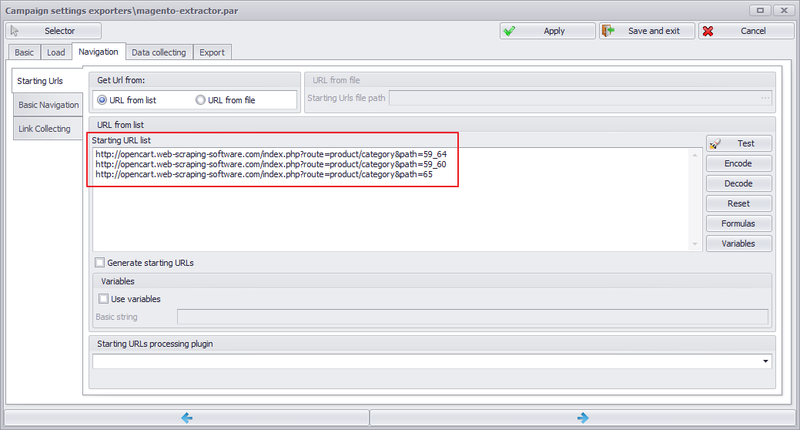 Before launching you can open exporters/magento-extractor.par settings (double click it in the campaign tree) and adjust Starting URL list. In this way you can setup links to certain online shop categories you need to extract items from. 4. (Just in case Datacol is activated!!!) 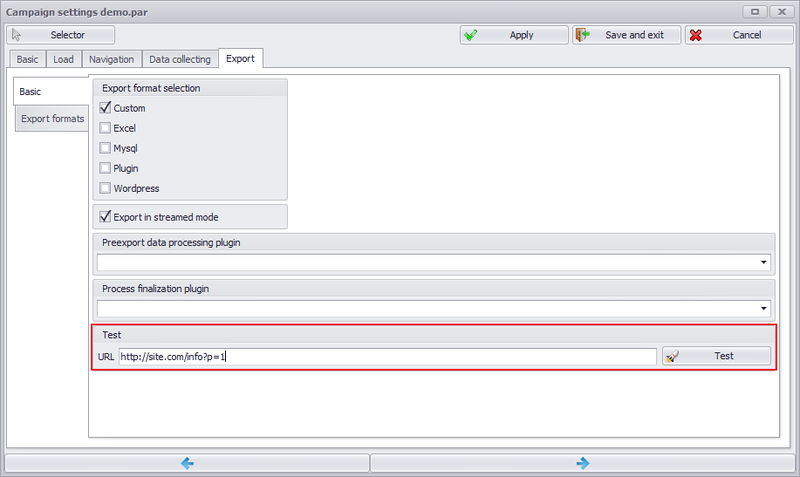 After campaign is finished/stopped you can find magento-extractor.csv file in Documents folder. You can also save Magento parsing results to CSV file In Datacol Trial version. 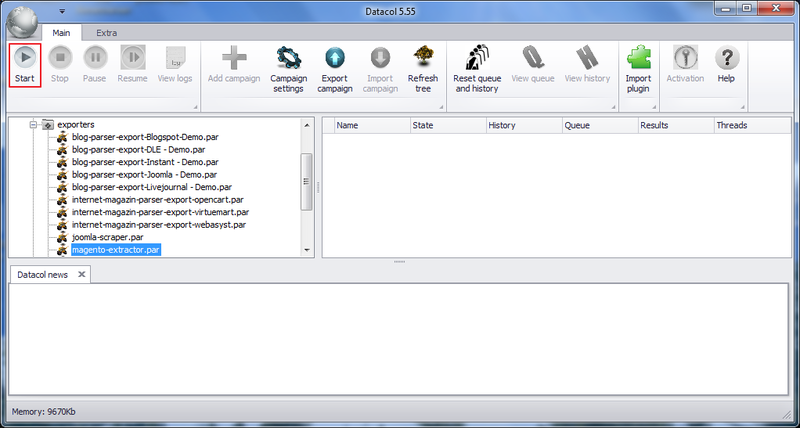 Open the campaign settings window and launch Export test. 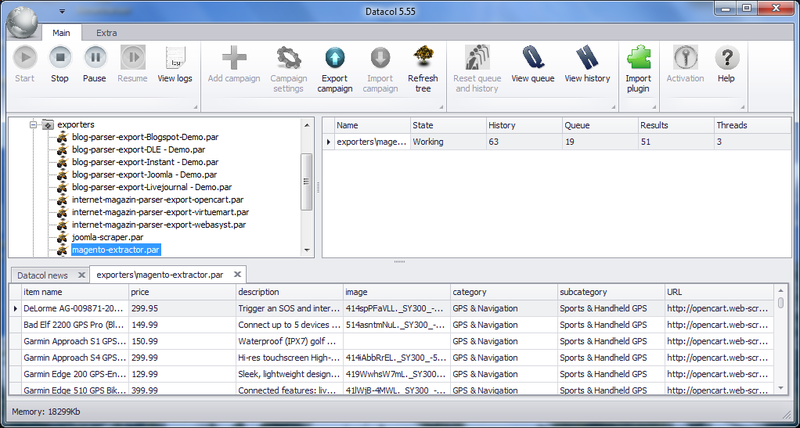 To enable data export for the running campaign Activation is needed! If you have any questions, related to Magento extractor, please ask via the contact form.